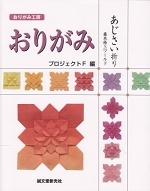 I am interest in buying the book Origami Hydrangea by Shuzo Fujimoto, but when I went onto the amazon link, it said that the book was 30,000 Yen. That is 260 US dollars. Is there a way of buying the book for cheaper? There's a new edition with improved diagrams. So grab a copy while supplies last! I've added the link above.